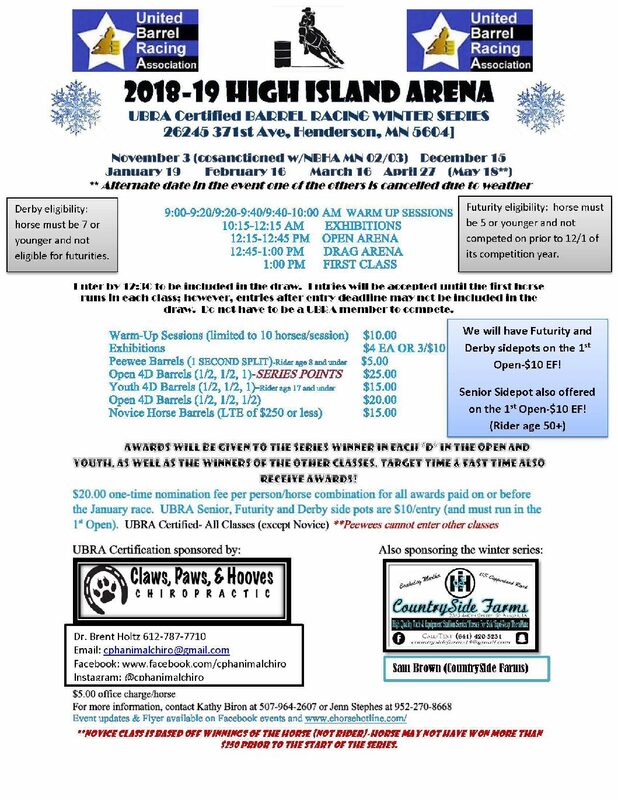 The High Island Arena Winter Barrel Series will be held on Saturday, April 27th, 2019 in Henderson, Minnesota. This Henderson rodeo is held at High Island Arena. Exhibitions: 4.00 each or 3.00 for 10.